Check if YourClip is running on the operating system if you discover random pop-up and banner ads listed as Ads by OnlineBrowserAdvertising whenever you browse the web. This is a browser extension which can install itself without permission and enable unauthorized connection to the Internet to deliver and receive different data. The application installs tracking cookies to spy on you and record information about your web surfing habits. Do you know what the point of this is? The developers of the plugin are sponsored by third parties who may use the collected information to produce ads which may be more interesting to you personally. Unfortunately, this does not mean that the displayed ads are trustworthy. In fact, this is the main reason YourClip removal should be performed. YourClip has been created by Kimahri Software inc., the company which has also developed the infamous Plus-HD, a plugin we recommend having removed as well. Once installed onto the browsers, the application creates a connection to remote advertising domains and enables them to display ads on virtually any web page you open. You should not click on advertisements linked to suspicious and unreliable programs, especially if they suggest free malware removal software or other free installers. ‘Your software might be out of date’, ‘Your download is ready’, ‘Java Required’, and other ads may seem authentic but in reality they represent bundled installers, most of which have nothing to do with the original installers of particular programs, media players, Java or Adobe software. The displayed ads and offers represent the services of third parties, which means that every single download could come with a new set of data tracking cookies. Even though YourClip does not collect personally identifiable, sensitive information, like full name, email address or even your home address, the additional cookies could be much more unpredictable and intrusive. This is a risk you need to avoid, and so right now you need to ignore the displayed adverts. Note that you can delete installed cookies as well. Of course, disregarding the ads is not a solution to your problem, which is why it is most important to delete YourClip. 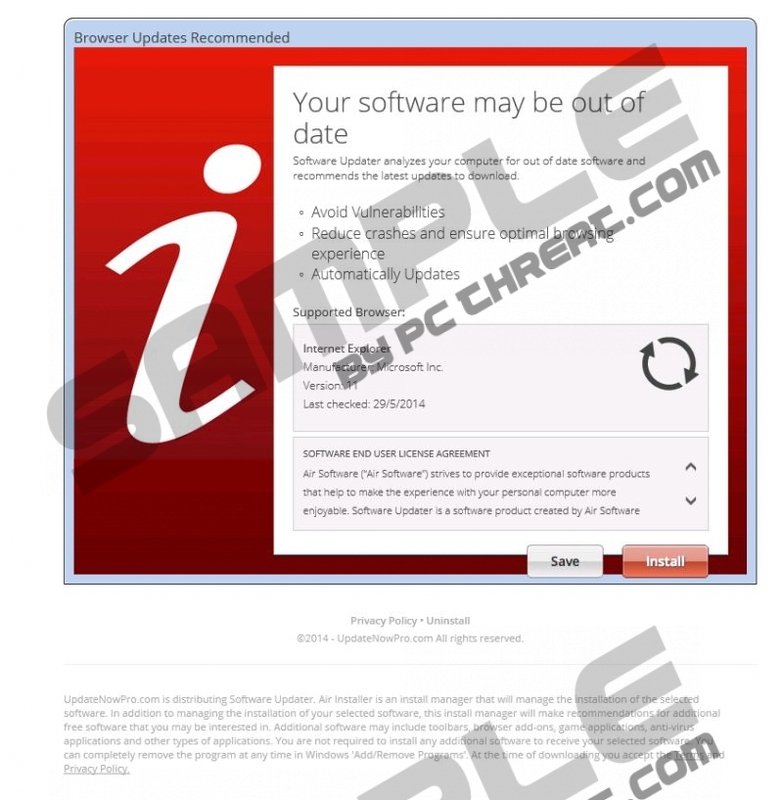 Use the manual removal instructions below to have YourClip deleted from the Windows operating system (simultaneously removes from the browsers as well) and install reliable system protection software. If you do not use automatic malware detection and removal software to safeguard the PC, your web browsing will be a risk-filled process. Note that unprotected operating systems are the perfect targets for cyber criminals who know all the tricks to scam you. Locate the undesirable application and Remove it. In the Apps menu select Control Panel and then Uninstall a program. Quick & tested solution for YourClip removal.